Eawag carries out its research activities in accordance with the principle of sustainable development and is committed to the socially, economically and environmentally responsible management of water resources and aquatic ecosystems. Eawag attaches great importance to eco-management. The Eco-Team is responsible for sustainable management of energy, consumables and other resources. It provides support and encouragement at all levels to ensure environmentally sound behaviour at Eawag. The Eco-Team supports the implementation of measures to achieve Eawag’s energy goals: all staff travel is to be carbon-neutral, and electricity and heating requirements are to be progressively met by renewable energy (electricity 100% renewable by 2010). Other Eco‑Team initiatives include near-natural landscaping, organic produce at the staff canteen, incentive schemes promoting the use of public transport or cycling and carbon offsetting for unavoidable air travel. 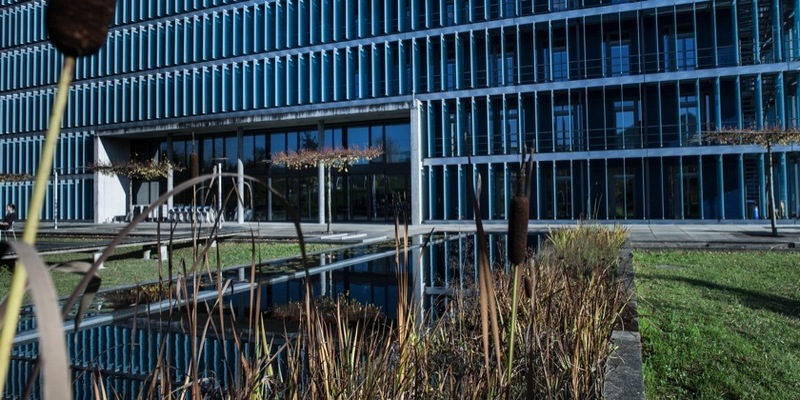 The new Eawag headquarters – Forum Chriesbach – has set new standards in sustainable construction. The administration and research building, opened in 2006, has no conventional heating or cooling systems in the office areas, and its heating energy requirements are extremely low. A rooftop photovoltaic system and the purchase of naturemade star green power ensure that electricity generation and supplies are renewable and environmentally sound. The investments in energy efficiency are more than offset by lower operating costs. In 2001 a pilot-scale test facility was built to house laboratory equipment. The facility is particularly designed for waste water research, but current and future research activities require an increased amount of space for research equipment in the fields of drinking water and aquatic ecology. The «Aquatikum» construction project including an extension and renovation of the old experimental facility addressed these needs.